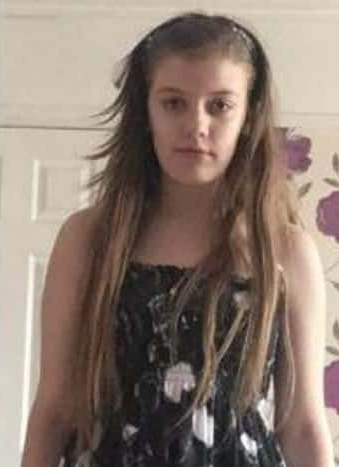 A 13 year old girl , Lucy Mchugh from Mansel Road East was found dead in woodland near Southampton sports center on the early morning of 26 July just a day before she went missing. Lucy was brutally stabbed to death. Lucy went missing on 25th July after she left home on Mansel Road East. Detectives investigating the murder of Lucy will screen her last known movements captured on a CCTV footage 30 minutes after she left her home nearby a Tesco Express on the corner of Coxford Road and Lordswood to thousands of football fans in a football fixture between Southampton and Burnley at St Mary's on Sunday. Detectives involved in the investigation believe that they could get some information on the murder of a young girl by appealing any kind of vital information they could provide. Leaflets appealing for information will also be handed out to thousands of fans present at the stadium. Although 24 year old Stephen-Alan Nicholson from Southampton was arrested on the suspicion of sexual activity and murder of the victim and was granted bail in relation to those charges. But he was remanded in custody under Regulation of Investigatory Powers Act (RIPA) for failing to provide his Facebook password to detectives. Detectives have also asked Facebook to preserve information on some user accounts to investigate any such kind of communications or link between the victim and suspicious people. Crimestoppers has offered a 10,000 pound reward for any vital information that leads to the person responsible for Lucy's murder. Lucy on CCTV footage was last seen wearing a black jacket with white sleeves, the logo for the band falling in Reversion the front and RADKE in red on the back along with white vest top, camouflage leggings and black and white Jordan trainers. It is still unknown where did Lucy disappear after she left home until her body was found dead in woodland near Southampton Sports Center.